House lawmakers are intent on protecting the Defense Department’s civilian workforce from unnecessary cuts, voting this week to require the Pentagon to submit a plan to ensure it retains a sufficient number of civil servants. 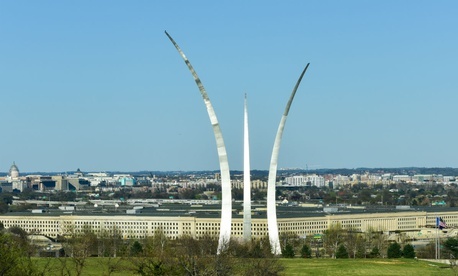 An amendment added to the Fiscal 2018 National Defense Authorization Act would require the report in an attempt to “address the chronic disconnect between budget and strategy,” according to its author, Rep. Seth Moulton, D-Mass. The workforce plan would require Defense to employ at least enough civilian employees to support the National Military Strategy. The department needs an “analysis of the impact of changes in the size of the civilian workforce to the size and readiness of military force structure,” Moulton said, adding the House Armed Services Committee had heard from Pentagon leaders about the difficulty of “budgetary tradeoffs” happening at Defense stations around the world. Military personnel are being overworked due to a lack of civilian support staff, Moulton explained. The report would identify the impact of civilian workforce reductions underway and where staffing should be increased. If the Pentagon decides to move forward with workforce reductions anyway, another provision of the NDAA would boost their separation compensation. While the rest of the federal government offers employee buyouts up to $25,000, Congress last year allowed Defense to pay any of its workers accepting Voluntary Separation Incentive Pay up to $40,000. That was set to be a one-year pilot, though the new bill would extend the increased maximum to 2021. The $25,000 cap has not otherwise changed since Congress first authorized the VSIP program in 1994. The authorization bill also contains some reforms in case Defense goes in the opposite direction with its workforce. The measure would allow the Pentagon to immediately appoint retired military members into civil service positions to “meet emergency needs.” Currently, those individuals would have to be retired for six months before receiving such an appointment. The department would also retain direct hire authority until 2021 for depots and ranges, which is currently set to expire in 2018. The Armed Service Committee approved the bill this week in a 60-1 vote. It now heads to the House floor.